Imagine how you would complete your work each day without technology. Today is a good day to thank the people who keep those systems running smoothly. It’s Information Technology (IT) professionals day or #ITProDay! The third Tuesday in September is a day to celebrate system administrators, network engineers, information security professionals, developers, IT support technicians and more. To honor this day, we are highlighting the Information Technology program of study in College Station, Texas. A&M Consolidated High School has provided IT Career Technical Education (CTE) programs for nearly four decades. It began as a computer programming course and has transformed into a robust IT program of study designed to provide students with a rigorous academic foundation. Learners gain skills in areas including computer hardware, software, coding, networking and cybersecurity. This year, the program received the annual Excellence in Action award in the Information Technology Career Cluster®. The program was one of 11 recognized for providing clear pathways into college and careers, rigorous academic and technical coursework, strong industry partnerships, and effective work-based learning experiences that offer opportunities for career exploration and subject-matter mastery. 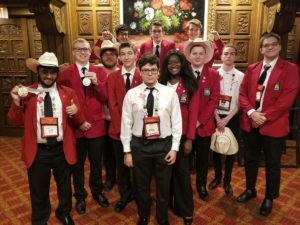 Over the summer break, learners competed in the 53rd Annual SkillsUSA National Leadership and Skills Conference in Louisville, Kentucky. Students in their chapter were awarded first place in the Career Pathway Showcase in Information Technology and second place in Cyber Security Demonstration. Read more about all of their accomplishments at this event here. In addition to winning competitions, learners spend a significant amount of time giving back to their community. The program was awarded a $25,000 grant to work with industry partners to install a network and security infrastructure in an elementary school converted to temporary housing for homeless families. They have even earned recognition from the President of the United States for their commitment to volunteer service by completing a minimum of 1,000 hours of service over a 12-month time period. In addition to a strong commitment to community service, learners also host events such as video game tournaments where students apply their skills in systems networking, live stream technology, cybersecurity and customer service. 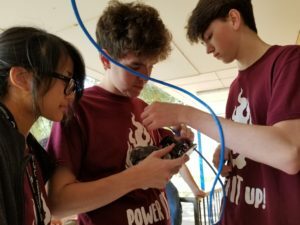 Learn more about the Information Technology program at A&M Consolidated High School and our 2018 award winners. Science, technology, engineering and math (STEM) has been the focus of much research and discussion as a catalyst for innovation and economic growth. Â With recent publications from the Brookings Institution and the National Center for Education Statistics, new research supports the idea that a STEM degree pays off â€“ both in salary and rate of employment. The Brookings report, â€œStill Searching: Job Vacancies and STEM Skills,â€ used labor market information to analyze the skill requirements and duration of online job postings, and found that job openings for STEM positions take an average of 50 days to fill â€“ compared to the 33-day average for non-STEM jobs. In particular, advertisements for health science and information technology jobs within the STEM sphere were advertised 23 and 15 days longer, respectively, than non-STEM jobs, and professional STEM vacancies are staying vacant longer on average than before the recession. The studyâ€™s author suggests that these indicators show a short supply of STEM skills in the labor market despite clear demand, particularly in tech hubs such as Seattle, San Jose and San Francisco. The report also pointed to an important variation that is often lost in data aggregation â€“ STEM jobs requiring less than a bachelorâ€™s degree were harder to fill than non-STEM jobs that required a bachelorâ€™s degree. At the high school level, the hardest job to fill are STEM-intensive health care practitioners, such as medical and lab technicians, jobs that often pay in excess of $20/hour. Another report, released this week from the National Center for Education Statistics, further supported the economic value of STEM skills through a four-year longitudinal study of baccalaureate graduates and their rates of employment. As part of its ongoing â€œBaccalaureate and Beyondâ€ data collection series, NCES surveyed a nationally representative sample of graduates who completed their bachelorâ€™s degrees during the 2007-2008 school year. Of the 17,000-person sample, about 16 percent were STEM majors (including computer science, engineering, biological/physical sciences, math and agricultural sciences) and 83.8 percent were non-STEM majors. In general, the data show that STEM degree-holders generally fared better than non-STEM degree holders in nearly every way including overall employment, number of jobs held since graduation, percentage of months spent unemployed, and average salary. Important to note, the NCES survey, unlike the Brookings report, classifies health sciences as a non-STEM degree, yet still STEM fares better overall. However, even with its NCES classification as a non-STEM degree, health sciences graduates still outperform their non-STEM peers in almost every category. To learn more about how STEM fits into the CTE enterprise, check out our issue paper, â€œCTE is Your STEM Strategyâ€. 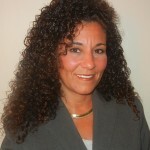 Jana Hambruch, an Industry Advisor who provides consulting services for Adobe Systems Incorporated, has more than 18 years of technical certification industry experience in the secondary, postsecondary, and workforce education markets. Some existing Career Technical Education (CTE) programs remain centered on vocational skills that were important in the past but find little traction in todayâ€™s digital technology driven market. In order to overcome the challenges our nation faces, our workforce must be highly competitive in the global market, and it must remain the leading innovator in the high-tech industries and occupations that dominate our global economy. In order to accomplish this, our education system must adapt to these new demands. Americaâ€™s workforce is aging. Â Fifty percent of our workforce  is close to retirement age, and others lack the skills necessary to truly compete in todayâ€™s market. The generation of future workers who are entering high school now will be expected to use technology at the beginning of their careers, in many cases technology that does not even exist today. How do we prepare these students to meet these challenges and take the reins of a digital economy? Well, to begin with, educators must recognize the paradigm shift from â€œCollege Ready for Someâ€ to â€œCareer Ready for Allâ€. CTE is more important now than ever. To meet this challenge, educators themselves have begun using a variety of technology based education tools and methods. These include virtual learning environments, blended learning environments, web-based technologies such as blogs, streaming media, social networks and more. experience that attracts all students. They focus on cognitive and critical thinking skills as a core element of the learning process. What do the district and school gain? Adobe has made tremendous strides in providing free online curriculum, teacher and student resources and a nationally recognized industry certification. The industry certification the students achieve is a credential that employers recognize, one which quantifies the skills of the worker and sets them apart. As a result, students entering the workforce have a much better opportunity to earn a livable wage, either while beginning their postsecondary studies or embarking on their career. More information about the resources available through Adobe can be found online at http://www.adobe.com/education/k12/career-technical-education.edu.html. 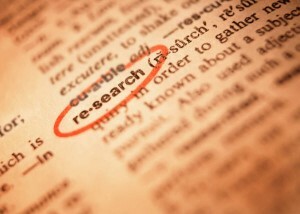 Programs of Study are also available for the Information Technology Career Clusterâ„¢ at http://www.careertech.org/career-clusters/resources/plans/it.html. Companies like Adobe have made great strides to understand the value of Career Ready for All! The Friends of CTE Guest Blog Series Â provides advocates â€“ from business and industry, researchers and organizations â€“ an opportunity to articulate their support for Career Technical Education. The monthly series features a guest blogger who provides their perspective on and experience with CTE as it relates to policy, the economy and education. Some 3,000 girls from across the state participated in Ohioâ€™s We Are It Day program, designed to increase middle and high school girls’ interest in traditionally male-dominated careers. Those include information technology and other science, technology, engineering and mathematics fields. Virginia Shank of the Warren, Ohio Tribune Chronicle reported that The Ohio Department of Education, Office of Career-Technical Education, sponsors the activity in collaboration with the Ohio IT Business Advisory Network, with 17 sites across the state participating. The program is supported through funds from the Federal Carl D. PerkinsÂ Career and Technical Education Act of 2006.